1. 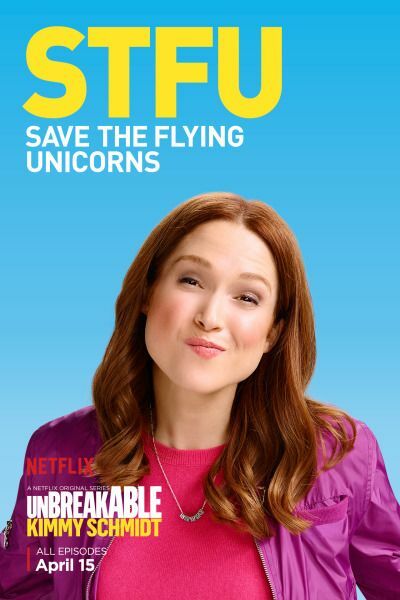 It took me a bit to get to, but I finally finished season 2 of Unbreakable Kimmy Schmidt. I enjoyed this season just as much as the first season. I loved Tina Fey's character and seeing Titus grow in a relationship was super sweet. And not to give out spoilers, but damn, I loved how the season ended. I'm pumped for season 3 already! 2. As we get closer to the new Ghostbusters release date, more and more Ghostbusters' merch is popping up online (just not in Canadian stores *insert sad face*). 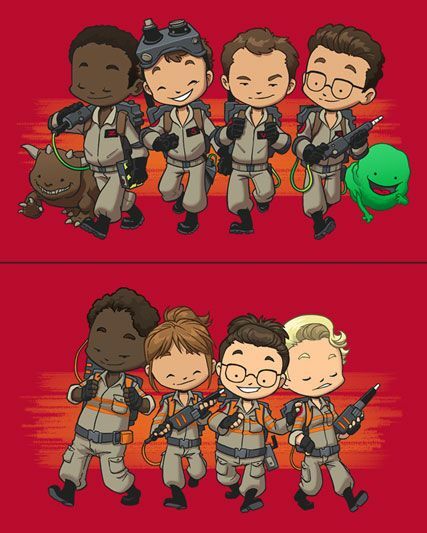 I'm head over heels in love with these Ghostbuster designs and I so badly want both on t-shirts. 3. I'm getting so excited for the release of Harry Potter and the Cursed Child. 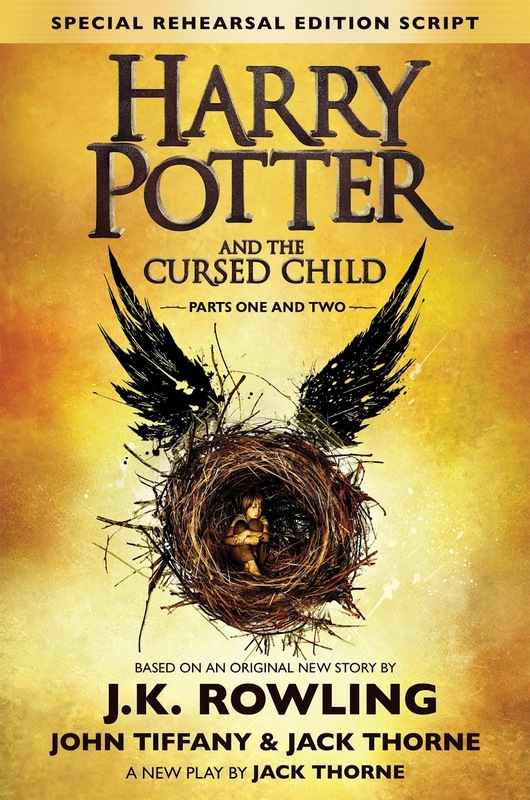 I even preordered it so I can get the free tote and attend the Midnight release at Chapters Indigo. 4. 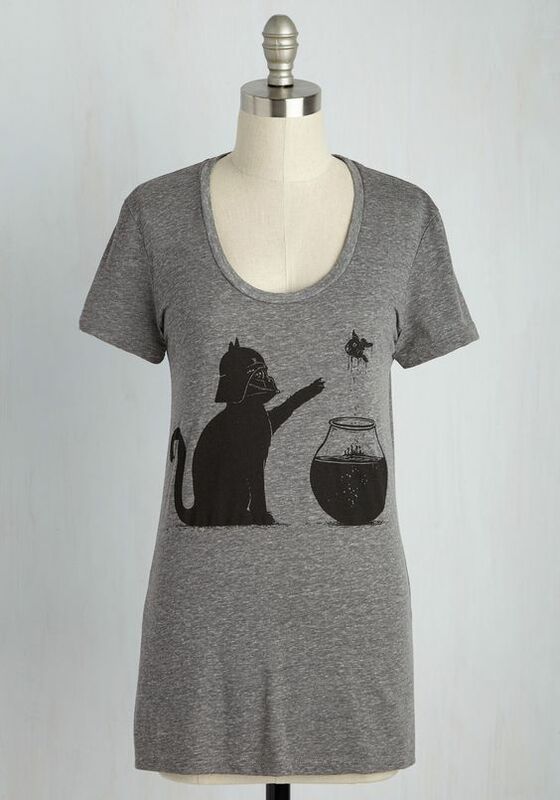 Cats + Star Wars = instant love! What fandom things are you loving this week? That t-shirt is brillant. The Ghost Busters art is waaaay too cute, and I also really enjoyed this season of . Titus' boyfriend is adorable.